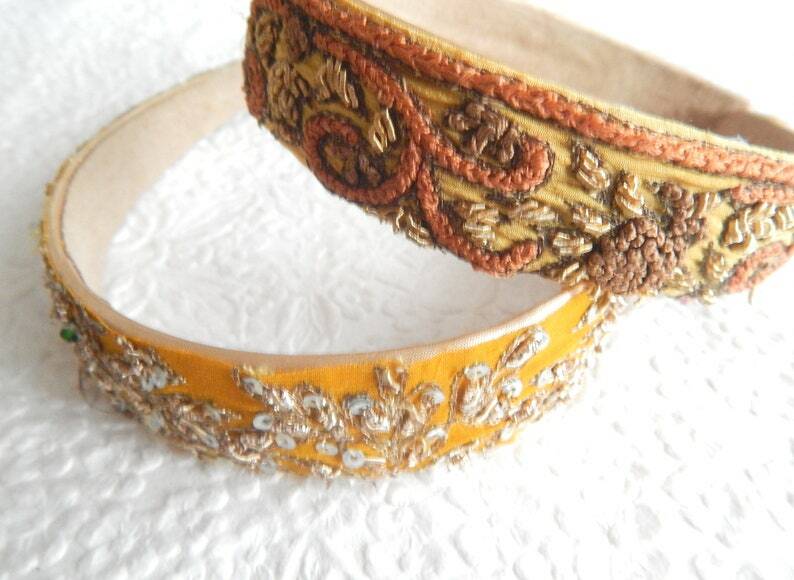 Mustard and gold embroidered beaded headbands. Boho blingy hair accessories for the beach and parties. Each measures approximately 1 inch (3.17 cm) at widest point. Thanks for a Great Shopping Experience!